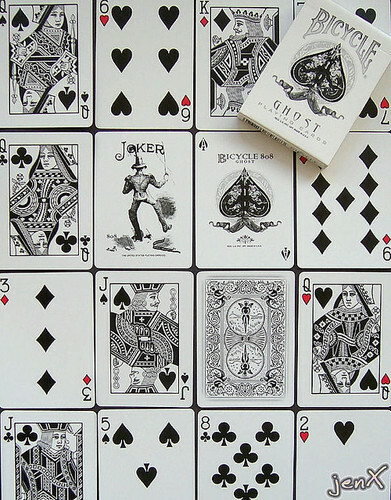 The Ghost deck features inversed black Rider Backs with standard faces stripped of all color except for the corner pips of the red cards, which are red with a black outline. 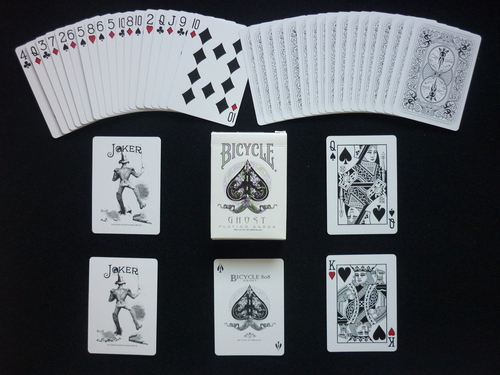 Comes with two custom jokers (one of which features a reveal) and a custom Ace of Spades. The text on the jokers say "Mundus Vult Decipi", which is latin for "the world invites deception".